Choosing an ARB (Architects Registration Board) Registered and RIBA (Royal Institute of British Architects) Chartered Architect like Hampshire Architect gives you peace of mind that your designer is qualified, registered, insured and regulated by a strict code of conduct. The title of ‘Architect’ is protected by law; other designers often get around this by using the word ‘architectural’ and are not generally qualified or regulated to the same degree, particularly with regard to design. Hampshire Architect’s fees are based on the time it will take to do the work rather than a percentage. Other RIBA Architects’ fees are generally between 8-12% of the building cost, which works out at about 3% for feasibility, scheme design and the planning application, 3% for construction drawings, specification and the building regulations application and a further 4% for obtaining tenders and contract administration during construction (note this is not full project management). VAT is often payable if the practice is VAT registered (Hampshire Architect is not). More information is available from the RIBA and ARB. Building costs are notoriously difficult to predict and depend on the level of the specification, particularly when fitting new kitchens and bathrooms. For a modest new home or remodelling/ extension in the South-East, you can expect to pay between £1100.00 – £1600.00 per square metre plus VAT. You should add a 5-10% contingency on top of this to cover unforeseen problems. As a rule of thumb, a one bedroom flat would need to be at least 40m2, a two bedroom flat or house at least 65m2, a three bedroom house at least 75m2 and a four bedroom house at least 95m2. When building an extension, VAT is generally payable on materials and also on labour if the contractor is VAT registered. When building a new home for yourself, most of the VAT can be reclaimed if you keep accurate records and submit the correct VAT notice. When building to sell, VAT is more complicated but can generally be reclaimed under a separate scheme. There is also capital gains tax and income tax to consider when selling or renting a non-home-owner-occupied property. As well as a reputable builder, you will need an architect or designer and usually a structural engineer. Depending on the project, you may also need to employ some of the other consultants discussed below. For any new-build project, you will need a land survey to be carried out by a specialist land surveyor to avoid any problems due to inadequate site information, levels and dimensions. If you are building on or near a boundary you may need to submit a party wall notice under the The Party Wall etc Act 1996. You can do this yourself or hire a professional who will also prepare a condition survey of the neighbouring property to avoid any problems later. 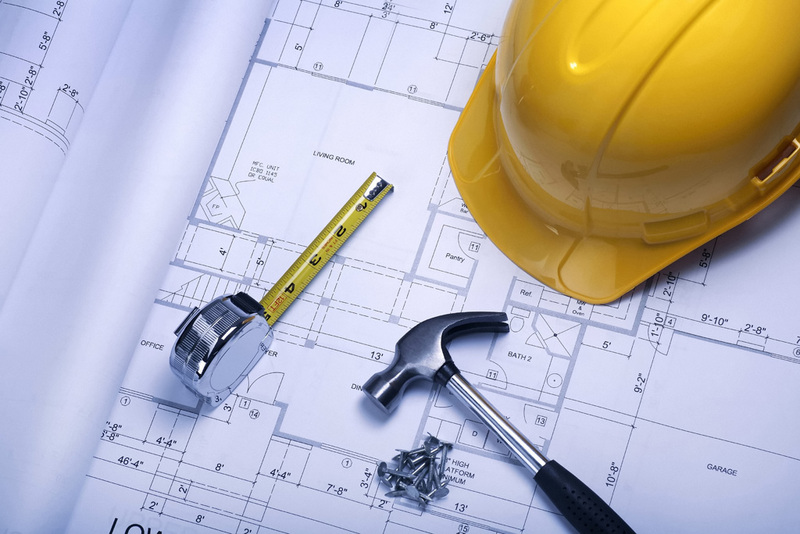 Your architect will guide you in your role as Client under the Construction Design & Management (CDM) Regulations, which are there to improve safety on site and when maintaining the building in future. Building regulations require a New-Dwelling Warranty for any new home that is not going to be owner occupied. The warranty is usually for ten years and is worth considering even if you plan to live in the house yourself, in case your plans change. More information on the Planning Portal. Recent changes to planning law allow many small extensions and outbuildings to be built without the need for planning permission, under what are called Permitted Development Rights. See the Planning Portal for more information. If you want to build a new home, large extension or large outbuilding, you will need to submit a Planning Application to the local authority with the required documentation and fee. You can expect it to be decided within 8 weeks of being registered. There is no local authority fee to submit a Listed Building Application but these require sensitive handling and often need to be accompanied by a planning application. For tricky sites, or those with a chequered planning history, it may be prudent to hire a planning consultant in addition to your architect. If you are building a new home, for yourself or to sell, you may be required to pay a contribution to the local authority towards infrastructure and the environment. Once you have achieved planning permission, you will usually be required to submit a Building Regulations Application to ensure the construction meets current requirements. You can do this through the local authority or you can use an Approved Independent Building Inspector. More information on the Planning Portal. In these days of climate change and increasing energy bills, building sustainably and thinking green are more important than ever. A good architect can design a scheme using the ‘fabric first’ approach to ensure the building retains heat and energy in winter and keeps unwanted heat out in summer, making the most of passive solar gain and ventilation, with a little help from renewable technologies such as solar-thermal roof panels, photovoltaic roof panels, ground source and air source heat pumps etc. See GreenSpec, PassivHaus, Energy Saving Trust or Carbon Trust. For a new home, The Joint Contracts Tribunal (JCT) has several suitable building contract options and you should seek professional advice to select the most suitable. For small extensions The JCT has two contracts available for homeowners, the ‘HO/B’ Contract for Homeowner Occupier without a Consultant and the ‘HO/C’ Contract for Homeowner Occupier with a Consultant. Both are straightforward six-page documents, available in printed form or to complete online from JCT. A good building contract will require the builder to have an appropriate amount of public liability insurance but as the owner, YOU are required to ensure that the site and any existing buildings are insured during construction work. For a new home, your insurance should cover new works, existing structures, plant, tools and equipment, legal expenses and importantly public liability and employer’s liability cover. For a domestic extension, you must notify your buildings insurer of the intended work and seek their advice, as otherwise your home may not be insured. If you have a mortgage on the property, it is also vital that you gain consent from your mortgage company for any intended works. For more useful construction information and design inspiration, see Home Building & Renovating Magazine (HB&R), Grand Designs or Houzz or follow Hampshire Architect’s Pinterest mood boards. Click the button below for your free ‘Guide to a Successful Home Extension’. Why not also book a commitment-free design and budget consultation with Netley Abbey based Carolyn Gillians (Lowe); just £95 per hour; evening and Saturday appointments available. Explore ideas, costs, planning and building regulations requirements. Carolyn can even prepare sketch designs with you, to get your project flying.